Electronic Surveillance Defense Attorneys - Oberheiden, P.C. While advancements in technology have made electronic surveillance a convenient and cost effective means for monitoring and investigating criminal activity, federal investigators remain restricted in their use of electronic surveillance by federal statute and constitutional protections. The spirit of the limitations on the government’s use of electronic surveillance comes from the Fourth Amendment’s protection against unreasonable searches. The constitutional test of whether wiretapping or electronic surveillance violates a person’s rights focuses on whether the person had a reasonable expectation of privacy in the conversation. For example, a person would have a greater expectation of privacy while making a phone call from a private line within his home than he would using a payphone in a public space. The federal statute that delineates the circumstances under which federal investigators may legally surveil a person’s communications is Title III of the Omnibus Crime Control and Safe Streets Act of 1968 (18 U.S.C. § 2510 et seq.). Title III states that illegally acquired communications cannot be used as evidence in any court proceedings. However, Title III also creates two circumstances where electronic surveillance or wiretapping would be legal: 1) where one party to the communication consents to the surveillance; or 2) pursuant to a court order. Under federal law, only one party needs to consent to the recording of a conversation for the recording to be legal. This rule applies whether or not the non-consenting party knows or has reason to know that the conversation may be recorded. Likewise, this rule applies regardless of whether the call is being recorded by one of the parties or by law enforcement agents. Therefore, if an individual allows law enforcement agents to tap his phone, any calls made to or from that may be used as evidence against the other party even if the other party did not know about or consent to the recording. However, the government bears the burden of proving that the consenting party voluntarily gave his consent to the wiretap. A court order permitting wiretapping or electronic surveillance is similar to a search warrant. To obtain the court order, a law enforcement agent must first acquire authorization to apply for an order from a designated senior Department of Justice official (i.e. the United States Attorney General or Deputy Attorney General). In seeking the authorization, the agent must state the grounds for the application. Generally, suspicion that the target is conducting any manner of felonious activity is sufficient grounds for authorization. Once the agent has received authorization, he may submit an application for a court order to a federal District Court. The application must identify: 1) the alleged criminal activity; 2) the person to be surveilled and, if different, the person suspected of criminal activity; 3) the type communication to be surveilled; 4) the location of the communication equipment; 5) the time period of the surveillance; 6) a complete account of the other investigative activities that have been used in the matter; 7) an accounting of prior applications for surveillance of the same individual or location. The District Court must then determine whether probable cause exists regarding 1) whether the named target is engaging in criminal activity; 2) whether the criminal activity is occurring over the communication channels sought to be surveilled; and 3) whether the criminal activity is occurring at the location of the communication equipment. Additionally, the District Court must make a finding as to whether traditional methods of investigation are inadequate and thus electronic surveillance is necessary. If the District Court concludes both determinations affirmatively, it will issue a court order based on the information contained in the application. The court order must additionally name the agency entitled to conduct the surveillance and the individual who authorized the application. An order for wiretapping or surveillance may not last more than thirty days without an extension, and it should be executed as soon as practicable. 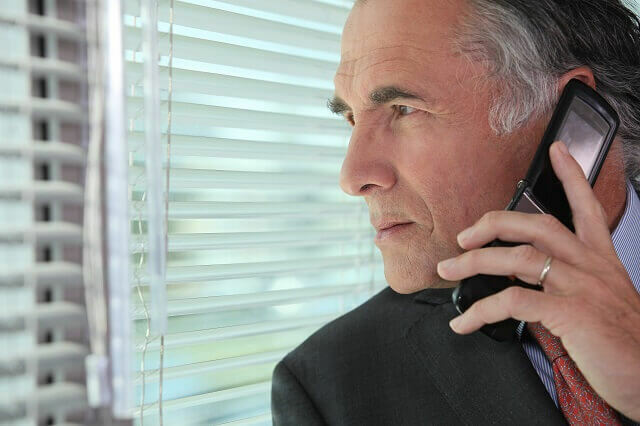 If you suspect that you are under electronic surveillance or that your phones are being tapped, you need to call an experienced criminal defense attorney immediately. The Oberheiden, P.C. is a criminal defense firm that services clients throughout the United States. Clients seek our services to assist with grand jury investigations, search warrants, and criminal defense matters. All our clients have direct access to attorneys and are not walled off by paralegals, secretaries, or junior lawyers.